I can pretty much guarantee that if the words "Andrew" and "saddle" are ever spoken near anyone in my training group, they will cringe on the spot. As I began seriously training for triathlons, so did a saddle saga that lasted a solid couple of months. Anyone who has dealt with saddle issues knows how difficult a situation it can be. Instead of focusing on your form, pace, hydration/nutrition, or other aspects of the ride, all you can think about is what is between your legs (get your head out the gutter). As I mentioned in a previous post about my bike I had switched from my stock saddle to a Nashbar F1 road saddle. It was a good fit for me for traditional road riding, with just the right amount of cushion and an ergonomic design. It supported me well on rides of any distance and gave me several good years of service. After installing aero bars onto my bike, it quickly became clear that this saddle wasn't going to cut it for me. While it was still great in the upright position (even after my handlebars were lowered during a fitting), problems arose when I leaned forward and entered aero position. As soon as my weight went forward I began to feel pressure on the perineum (you know, the area between the front and back), which ultimately gave way to tingling and numbness. During my rides I would have to frequently raise up out of the saddle to allow blood to return to the area. This was not a sustainable long-term strategy for any kind of success (riding, baby-making, or otherwise). Despite attempts to adjust the fore and aft, height, and tilt of the saddle, I couldn't find any relief for the issue. The search for a new saddle was underway. I was lucky to find some saddles to demo and gave each a fair shake on a couple of rides. This saddle is specifically designed for triathletes and features a soft padded nose designed to help solve the exact issue I was dealing with. I was hopeful that the Tri Tip would be the answer, but it didn't work for me. I found the tip to be too large, and despite the additional nose padding it still led to pressure, numbness, and tingling. 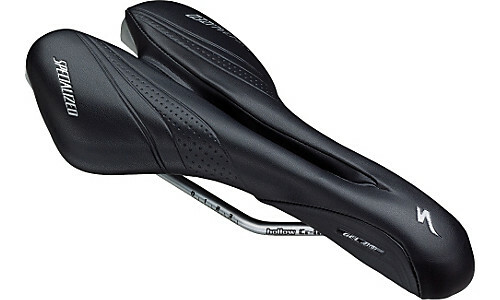 Additionally, the saddle is designed so that the rear portion (where your sit bones go) has a bit of flex to it. The sound (think: creaking plastic) of the flexing was both unnerving and uncomfortable. The Tri-Tip was not it. 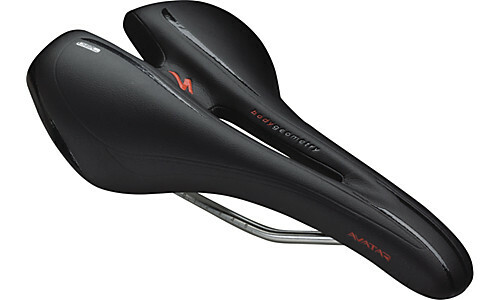 While more of a road saddle, the Avatar was recommended by a local shop who knew of many triathletes using it. While I wasn't overly optimistic (based solely on the feel of the saddle in my hands), I was hopeful that the deep cutout down the center would be the answer to my prayers. The cutout of the Avatar carries all the way through to the tip, but the nose of the saddle was a bit too firm and failed to provide an adequate resting place for the twig and berries. The Avatar performed very well when riding in the upright position, but the issues in aero were still as bad as ever. Another no go. 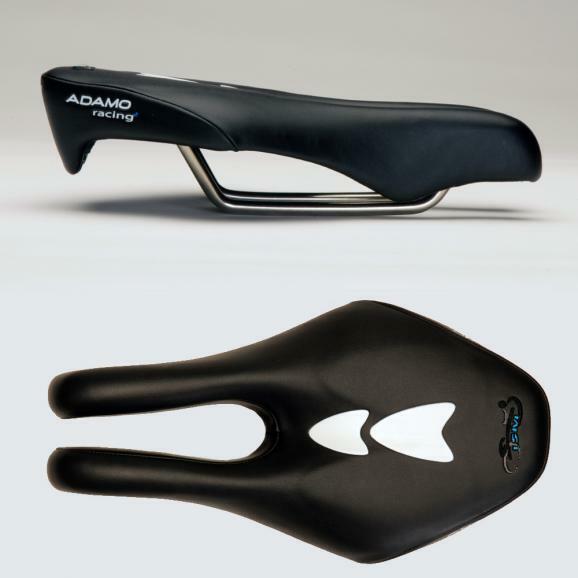 The Adamo saddle series features a unique nose-less shape which was designed to eliminate any pressure up front; there is simply nothing there to cause pressure. There is a full line of Adamo designs ranging in aggressiveness, with some geared more for mostly aero position and others which are more accommodating for upright riding. The saddles vary in firmness, size, and shape. The Adamo saddles are known to require an extended break-in period due the weight that is placed upon the sit bones (other saddles distribute the weight across more of your body). My first ride on the Adamo Racing II was a 3.5 hr weekend ride. This was not a good idea. While things started out great, as time went on I began to feel sore on the areas where my weight was resting. The pressure issue was non-existent, but the soreness in this new location was brutal. As a result I ended up spending a large portion of the ride in the aero position which helped put some weight on the bars rather than my sit bones. The time I spent in aero far exceeded any previous ride, and led to other complication, but I digress. Thankfully I was out on a group ride and was able to spend most of the return trip catching a draft off of the others. For the next couple of days I was so sore from the long ride that I even had to skip a weekday ride. But, I was determined to give the Adamo a fair chance and once the soreness subsided I got back on the horse. I rode on the saddle a handful more times over the next couple of weeks, and, while I continued to experience post-ride soreness, things improved with each ride. Clearly it was going to take some time for my body to get used to things, but assuming I could adjust to the new seating position, the Adamo was going to be the answer. 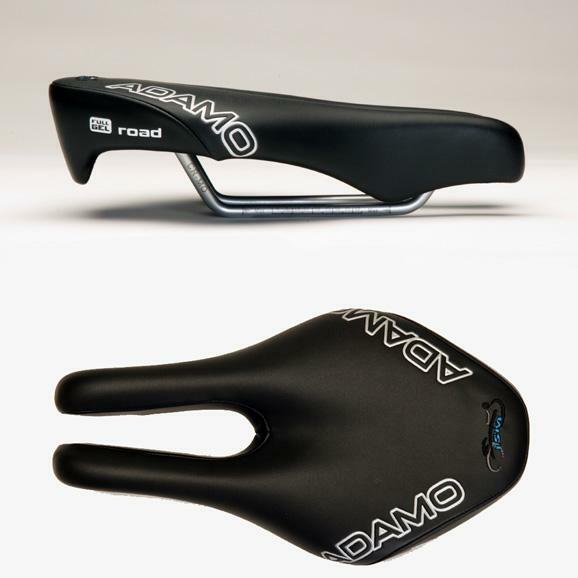 As I readied to purchase, I did some more investigation into the differences in the Adamo line and ultimately settled on the Adamo Road. The Road is designed to accommodate more upright riding (the website specs this saddle as being for a 0° - 90° hip angle, compared to the Race saddle's 0° - 30°) than the Race and features a somewhat softer platform. With great elation and relief (of the perineum & ischial tuberosities [sit bones] to be precise) I can say that my rear has found its match in the Adamo Road Saddle. Thanks to this marvel of design and engineering, my saddle woes are over and I can now concentrate on other aspects of the ride, like keeping up with my group! Anyone have different experiences with any of the saddles I described or others? Share your stories.